Andy Lynch has more than a few claims to fame. Yet there can be few people out there who can boast of the fact that they were given their nickname – in his case ‘Kipper’– by none other than the legendary Jock Stein himself. 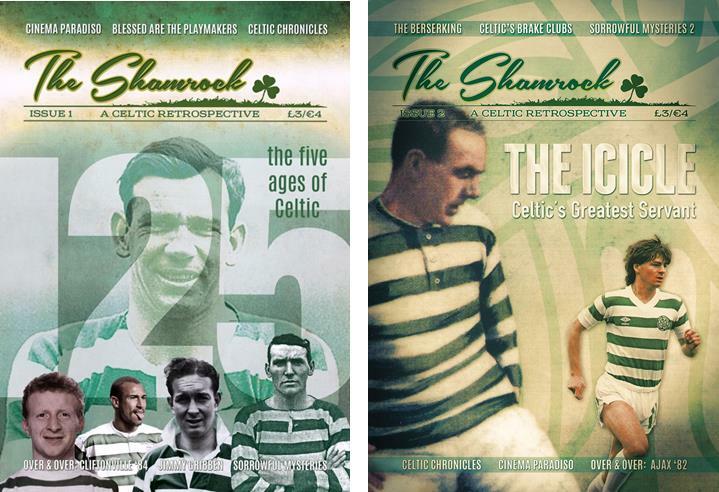 The story of how this Govan bhoy earned his moniker is one of many excellent tales told here which combine to give a tremendous flavour of what life was like as a Celt in the great man’s latter years in charge at Celtic Park. Andy Lynch was a bystander and regular participant in the events which saw Celtic’s fortunes mirror those of a rollercoaster. It was in February 1973 that he joined a record-breaking Celtic team which had just won 7 League titles in a row. He would go on to experience the loss of Jock Stein while he recovered from a near-fatal accident, the Double-winning success of 1976-7, the sacking of Celtic’s greatest manager a year later quickly followed by the last day 4-2 League winning sensation of 1979. Fortunately, Andy didn’t go to Celtic looking for a quiet life. He was a Celtic fan from his earliest days, even though it was outside Ibrox that he collected money looking after cars on match days. His time as a ball boy at Hampden gave him a unique view of cup finals and international fixtures. His early promise saw him sharing dressing rooms with a youthful Kenny Dalglish and Vic Davidson who would form part of Celtic’s ‘Quality Street Gang’ but his beloved team didn’t come calling and he struggled to make an impression early on. His determination was there to see as he didn’t give up on the dream, joined Queen’s Park and then entered the junior ranks before he finally got picked up Hearts – and was a first team player in Scotland’s top league within a matter of months. Andy came across more than his fair share of characters on the road to Celtic Park and beyond. The first team coach at Hearts in the late 1960s was future Rangers’ manager Jock Wallace, renowned for his no-nonsense approach to training and . . . well, everything, really. It didn’t come as a great surprise to the young Lynch to find his coach urging the Hearts players to “get into these Fenian bastards the day!” before an encounter at Celtic Park. What was less expected was the coach’s cry of “Let’s sort out these Orange bastards!” before the Edinburgh team took on Rangers. He had his battle fever on permanently, it seems. Other supporting roles in the Andy Lynch story go to Flax Flaherty, a one-eyed paper seller at Queen Street station who used to tap up players on behalf of Jock Stein; the unforgettable Johnny Doyle as both friend and foe; Brian Clough who promoted ‘the art of the deal’ before Donald Trump was ever heard of; and the great Franz Beckenbauer of the mighty New York Cosmos in the hey-day of the North American Soccer League, which Andy enjoyed as both player and coach. It was funny to read of the start of Andy’s professional career as an accomplished left-winger when it was at left-back he would be best remembered as a Celt. That followed a tactical decision made by Jock Stein at a time when Andy had been struggling to find form after successive injury problems hampered the start of his Celtic career (and came close to killing it off) and the team couldn’t achieve any kind of consistency in the left side of the defence. It was to prove a great solution for both player and club. In due course ‘Kipper’ became a Celtic skipper when Danny McGrain fell victim to serious injury and he still got among the goals, even from the left back berth. He was joint top scorer (with Tom McAdam) in the 1978-9 season, hitting 13 goals with 10 coming from the penalty spot. It was, of course, the 1977 Scottish Cup Final against Rangers when Andy’s spot kick wrote his name in the Celtic history books for ever. The chapter dedicated to that incredible experience is one of the book’s best as Andy’s memories of the game are intercut with television commentary from the match. It’s a novel technique that works really well here. Andy’s advice generally on the art of the penalty kick and the attendant pressures (having Dundee United players throwing mud at you in the run-up won’t feature in many coaching manuals) is also genuinely insightful. Another fine feature of the book that made an impression is the detailed recall of Andy getting into the dressing room at Celtic Park before everyone else (having made his way across the city by public transport in a Hearts blazer and tie) and setting foot on the hallowed turf for the first time, viewing the old Jungle and terraces from the opposite perspective to that he was used to. The striking quality of the cover design (with Andy in classic ‘70s hoops with the club crest in the centre) reflects the writing inside. This is the third Celtic book that Paul John Dykes has written and yet again he comes up trumps, telling the story of Andy Lynch in a fresh, absorbing and entertaining way with lots of great insights into Celtic and the professional game, both here and in the States, from the ‘70s and ‘80s. Andy hasn’t exactly been a shy and retiring figure since – he once phoned up Celtic Chairman Desmond White and offered his own services as Manager to his old club! His role in the attempt of an Arab Sheikh to buy Liverpool FC from Gillett and Hicks six years ago was a million metaphorical miles from the sands at Gullane where Jock Wallace worked him until he was sick. It is one of the most bizarre stories in a book brimming with tales. This is one Lynch mob well worth joining.